I want to read 30 differential ended analog sensors. 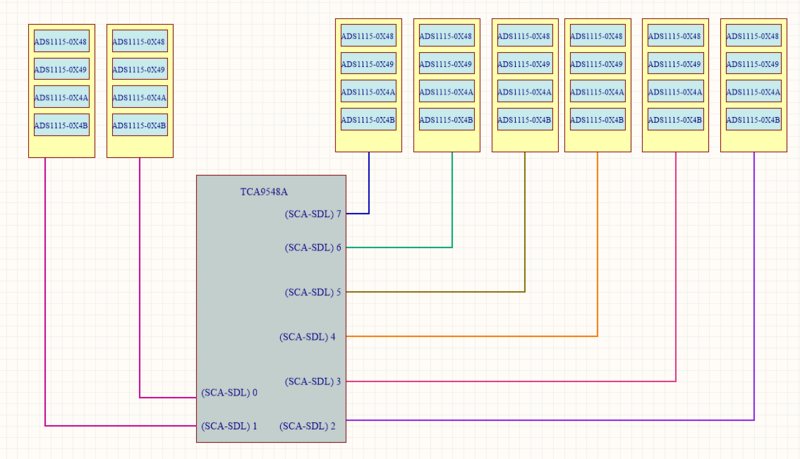 Using ADS1115 16 bit this is possible, but we end up having only 4 address on I2C, so i chose TCA9548A breakout board with 8 I2C multiplex channels, Is it possible to read the ADC as shown in the block diagram if yes, please help with code. Browse other questions tagged arduino-uno i2c adc multiplexer or ask your own question.